Don’t’ be shocked if the Samsung Galaxy S10 comes in a model with 1TB of internal storage. The company announced a new embedded UFS 2.1 storage chip tonight that does indeed go up to 1TB for the next wave of smartphones. 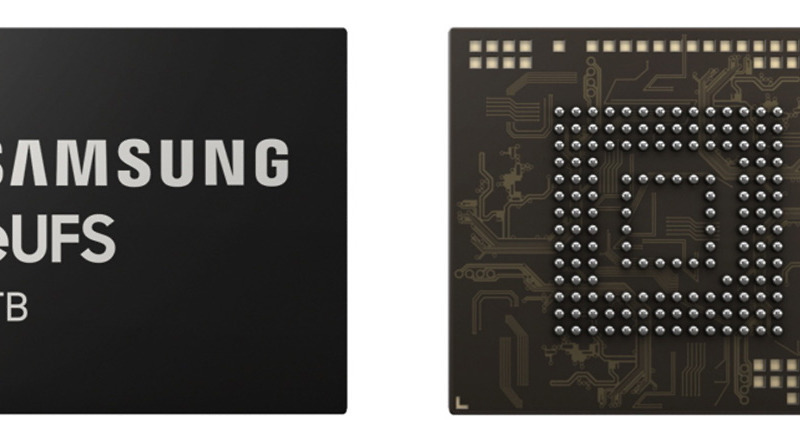 The new chip arrives only four years after Samsung brought a 128GB UFS chip and three years after a 256GB chip, which were certainly exciting at the time. But man, 1TB? The Galaxy Note 9 had a 512GB option with an SD card slot that could double it to 1TB. We’re now talking about straight 1TB internal storage, though. With 1TB of storage, you could store 260 10-minute videos in 4K. How wild is that? RELATED: Do you need 1TB storage? Maybe. Worried about the size of 1TB of internal storage? Don’t be. Samsung says that it’s the same size as last year’s 512GB chip and shouldn’t have any impact on phone design, which we already know looks pretty good. Not only that, it’ll produce 1,000MB/s read speeds too, as well as 260MB/s write speeds. Those are all speed bumps over that 512GB UFS from the Note 9. At those new speeds, you could move a 5GB of HD video in 5 seconds. We don’t know what kinds of price adjustments will arrive thanks to this new 1TB UFS storage, but I can’t imagine it’ll be cheap. Then again, the Galaxy S10 isn’t expected to save you any money anyway.